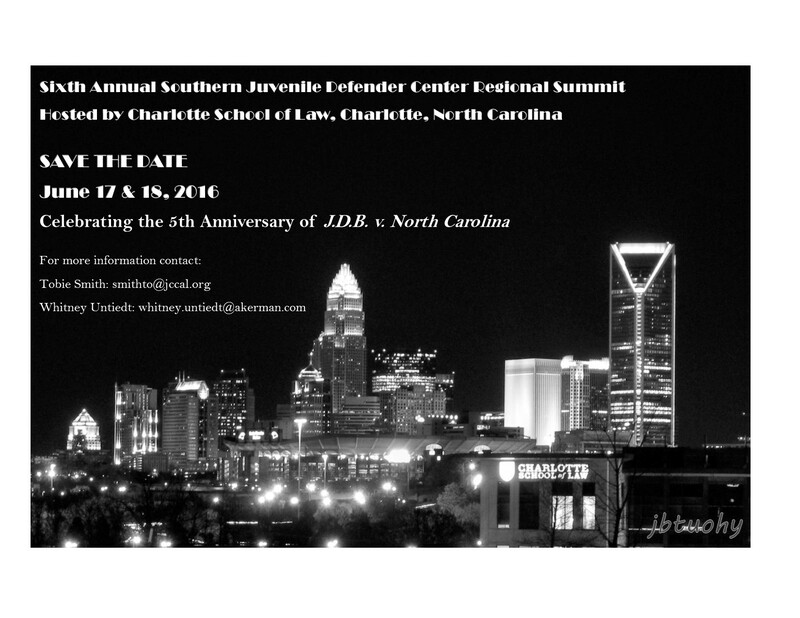 Join us June 17-18, 2016, at the Charlotte School of Law in Charlotte, North Carolina, for the Sixth Annual SJDC Regional Summit! We invite you to come together with your colleagues from across the Southern states to participate in a one-of-a-kind program to celebrate the anniversary and discuss the legacy of J.D.B. v. North Carolina. View the invitation for registration details.